I took this image back in November on a beach walk, I found the shadows from this drift wood very attractive but then wondered what came first the foot prints or the wood ? This entry was posted on January 13, 2015 by nigel borrington. 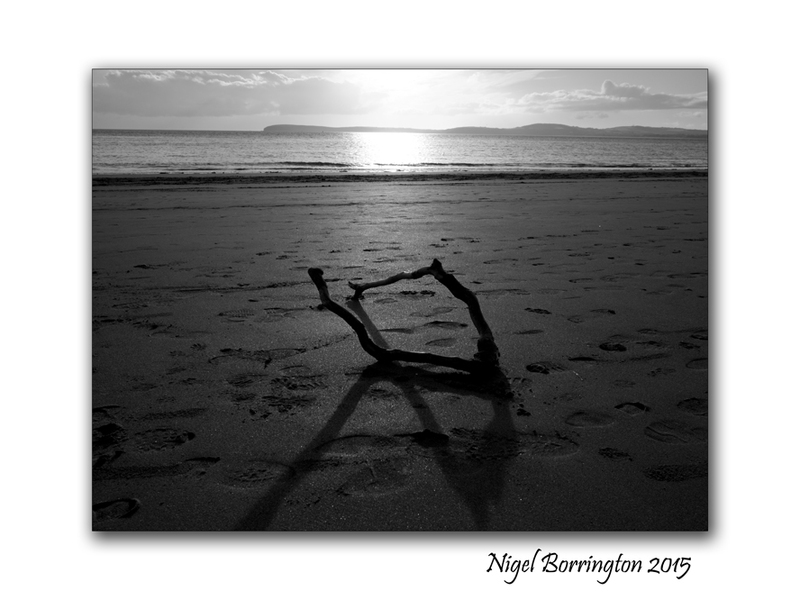 It was filed under Comment, Gallery, Landscape and was tagged with beach photography, Beach shadows, black and white, Drift wood, Landscape Photography, Nigel Borrington. The driftwood is like a piece of art. Your photo of it, though shows talent and artistry, too. I guess the footprints may have been there before someone put the driftwood there or they may have carried it there? What is your thought on the subject, I bow to the one who took the fantastic picture! A beautiful image Nigel! I really like the shadow play with the setting(?) sun in the distance. Great eye.